Digitally bridge the gap between diagnostic imaging results and the physician's reading station. Consistent, easy to read reports are printed, published to EMR, and faxed directly to the referring physician upon completion. Highly available studies are ready immediately after being completed by techs. 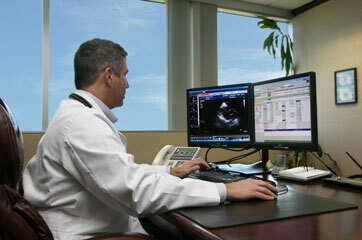 Bridge the gap between the physician reading station and the patient chart. Final reports are immediately available in the EMR with pertinent clinical information available for charting patient health. 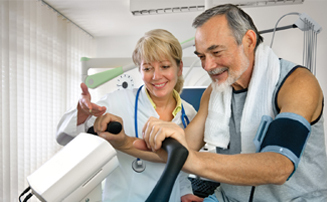 Bridge the gap between the diagnostic imaging results and the physician's reading stations. 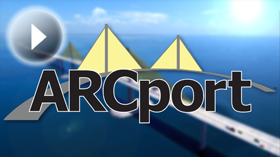 Technologists deliver studies to physicians faster and with fewer steps with ARCport connectivity. I'm frustrated with computers. They’ve always been a way to spend more money to get less done. That is - until now. ARCport is great for helping me find the records that are relevant to me, do the necessary paperwork and move on to the things that are important to me, like my patients. Because the system retains my preferences - the time I wasted every day searching for information has been done away with. One of the biggest helps is quick turn around on reports. This is a major breakthrough for our practice.